The check will then be deposited to your account. Mobile Deposit is fast, secure and FREE. * No more trips to the Branch or ATM plus avoid the delay of mailing checks. Adhere to the Mobile Deposit Terms and Conditions. Deposits are processed upon receipt and subject to our regular funds availability policy. Simplify your life with convenient account access 24/7. 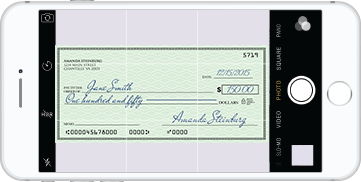 Transfer Money, Make Deposits, Pay Bills, and View Account Transactions all from your phone. 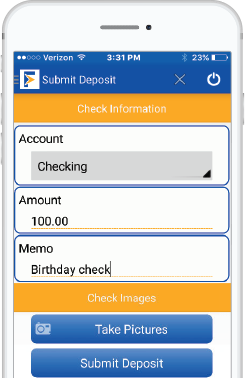 Life is busy – Bank Quickly and Efficiently with FedFinancial’s mobile app. * Your mobile carrier may charge access fees depending upon your individual plan. Web access is needed to use the Mobile app. Check with your carrier for specific fees and charges. Some mobile features may require additional online setup. 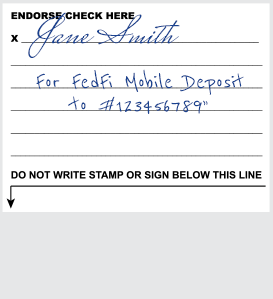 **Apply using the FedFi Mobile App.